The South China Sea (SCS) is explicably one of the most dangerous flash points in the world today with the potential to conflagrate into conflicts/skirmishes at the slightest provocation or even by accident. The Sea is uniquely – strategically, even – located, as it links the Indian and Pacific Oceans through the constricted Malacca Strait. It falls along the most critical sea lanes in trade and commerce for both oceans. The Sea, therefore, is a delicate and volatile water space with overlapping and conflicting claims (under the UNCLOS and historical records) by the surrounding countries. The SCS is a bellwether for determining leadership between two major powers: The United States and China. The United States is still the predominant power, while China remains the front running challenger. Consequently, a transition is underway that is fraught with risks and uncertainty. The transition may not be as smooth as the one between the United States and the United Kingdom after the Second World War. China is rising massively, and thus gradually asserting its influence among the claimant countries of the SCS and elsewhere. That said, China wants to settle the scores with the smaller claimant countries on a one-on-one basis. So, ASEAN centrality is coming under strain, though there are moves to conclude a binding code of conduct. China is resolute to claim sovereignty almost over the entire SCS while the United States means to focus on the freedom of navigation. The United States is conducting freedom-of-navigation operations round the clock, shadowed by an increasingly strengthening PLA. Other powers such as Japan, India, and Australia with their alignments emerging are on the queue to join the fray along with the United States. However, challenging China individually is problematic. Geopolitics of the South China Sea in the Coming Decades captures all of these complexities through a comprehensive, eclectic and objective method. 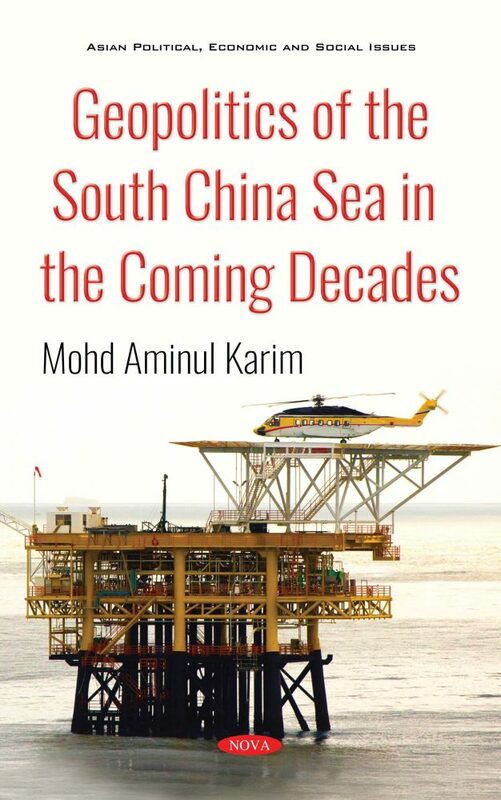 Another unique part of this book is that it makes futuristic projections for the next few decades in the Indo-Pacific Region. Chapter 10. End of the ASEAN Centrality? Keywords: The South China Sea, The East China Sea, The Bay of Bengal, Malacca Strait, Vietnam, the Philippines, The UNCLOS, Freedom of Navigation Operations (FONOPS), People’s Liberation Army –Navy(PLAN), Spratly, Nansha, Paracel, Nine-Dash-Line, First-Island-Chain, bellwether, Transition, Alliance, Alignment, Indo-Pacific Region. Audience: Policy planners, politicians, diplomats, academicians, researchers, military officials, UN bodies, think tanks, security experts, students, and faculties especially of social sciences, International Business, Strategic Management, Civil Society.